Daytona Beach owes its legendary status as the world capital of speed to the elongated, flat beach area with its hard-packed sand. Between 1904 and 1935, an incredible 14 speed world records were set here, five of them by the Rolex wearer Sir Malcolm Campbell. In 1959, a "Super Speedway" was built, the Daytona International Speedway. Introduced in 1963 as a chronograph of a new generation, the Cosmograph soon received the name that would make him an icon - Daytona. It is probably by far the most coveted Rolex watch today. 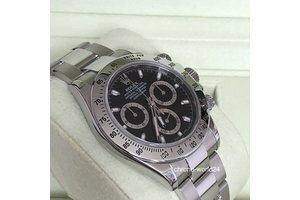 You can buy the Rolex Daytona watches in all available variations from us. The name Rolex stands for quality, style and an incomparable successful history - Chrono World is the name when it's time to buy your Rolex . 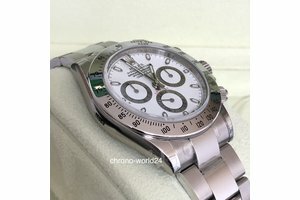 Buy a Rolex Daytona second-hand? The fact that the Rolex Daytona has been one of the most sought-after chronographs of the luxury brand for more than half a century is not only due to its distinctive and elegant design. The movement presents itself almost perfectly and stands for highest precision. Buying a second hand Rolex Daytona is worth more than just investment, both as an investment for the future and for your own use. 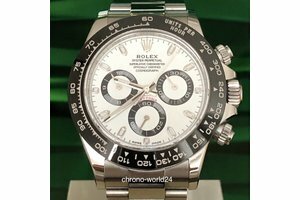 Here is a comprehensive overview of which Rolex Daytona used can currently be purchased at Chrono World. 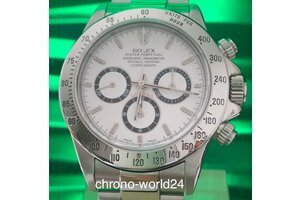 We offer you a comprehensive assortment in which every single Rolex Daytona used has been extensively tested. This test, both in terms of material and functionality, is always carried out by a true master in his field. 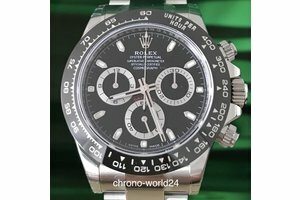 Here, we also incorporate our many years of experience and extensive know-how in our Rolex offer, which has made Chrono World the first address for the discerning watch wearer. 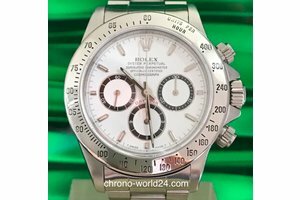 It may even be possible to buy a used Rolex Daytona with individually agreed financing at fixed monthly installments. 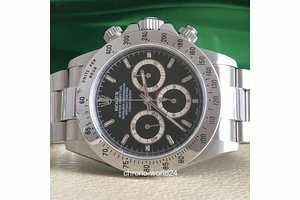 Would you like to buy the Rolex Daytona used here, you are also in direct contact with a personal contact person, who accompanies you step by step through the purchase and also acts as an advisor. 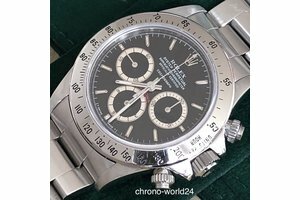 If you want to buy a Rolex Daytona used, this is possible either online or in business. In the time from 9 to 20 o'clock we stand additionally by telephone with words and deeds aside. 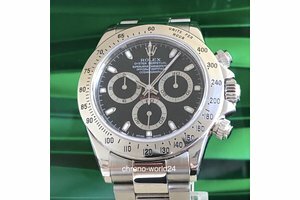 Buying a second-hand Rolex Daytona is possible both in conjunction with current generations of the Daytona and in the form of vintage models. 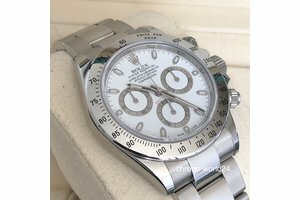 In addition, we take on your request even an individual search, if you want to buy a very special Rolex Daytona used or unworn. Many of the watches offered here were rarely or even not worn. 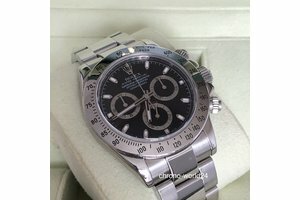 When you buy a Rolex Daytona second-hand, we will always show you how often it has been used and if signs of wear are recognizable. Our assortment is completed by unique watches and particularly exclusive models, which are ideal as a stable investment.